An easy, comforting soup that adds zest to rainy afternoons. Heat 3 tbsps. sunflower oil until shimmering over medium heat in a large soup pot. Add the chopped onion and celery, sea salt, and black pepper. Stir frequently until soft for 10 minutes. Add dried oregano and sesame seeds, cooking until fragrant (1 minute). Add the potato wedges and chicken broth and bring to a boil. Reduce the heat to a simmer and cook for 10 minutes until the potatoes are almost tender. Stir in the white beans adding the shredded chicken and cook until heated through and the potatoes are tender for 2 minutes. 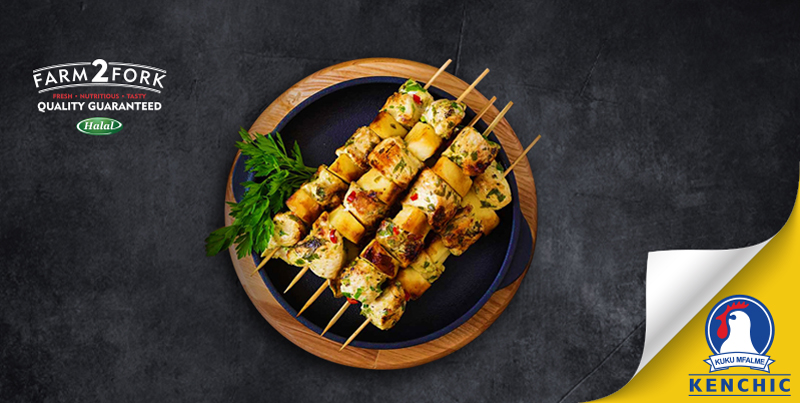 Stir in the ½ cup chopped mixed herbs and a cup of fresh lemon juice. Season with salt and pepper to taste. 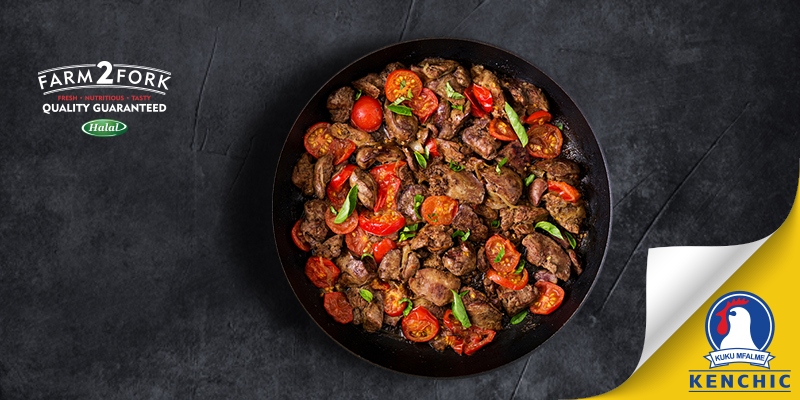 Add salt, olive oil, lemon juice, the tomatoes, to the liver, and continue to stir until ingredients are mixed. Once cooked, remove skillet from heat and mix in minced garlic and basil leaves over the dish. Serve the dish with roast potatoes. 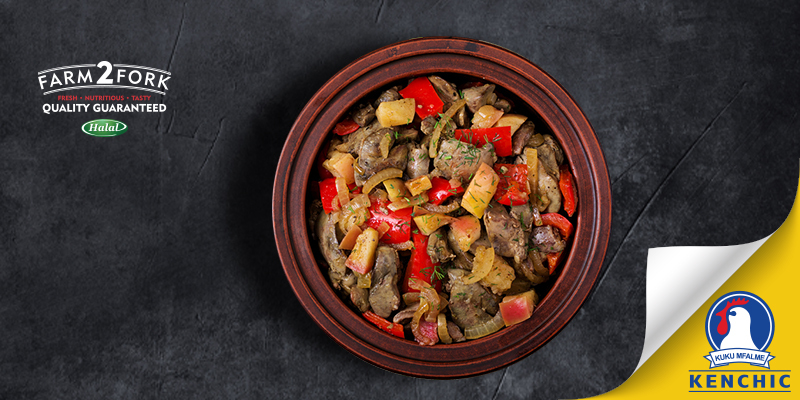 It's a traditional Kenyan recipe where chicken livers are sauteed in olive oil with bell peppers, onions, garlic and seasoned with allspice. Heat the oil in a large pan over medium heat. Add the red peppers, green peppers, onion, and garlic. Cook and stir for 5 minutes until peppers and onions begin to soften. Add the liver to the pan, allspice, and soy sauce. Cook and stir until the liver is cooked through, about 10 minutes. Looking for the perfect partner to your ugali and sukuma? 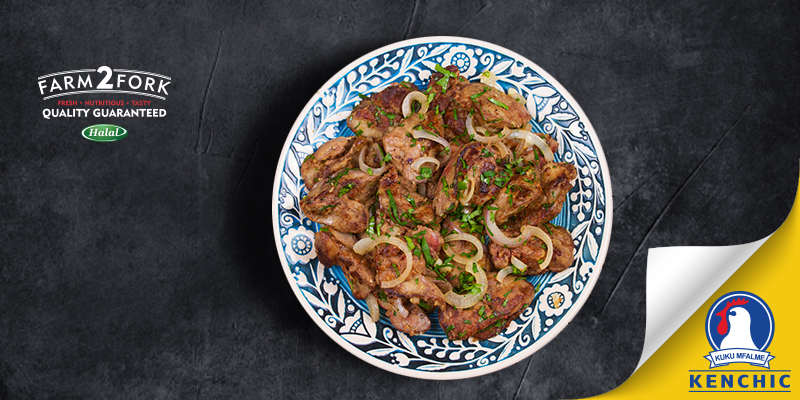 We’ve got it right here with this amazing garlic chicken liver recipe! Heat a small pan on medium heat. Add the chicken livers and stir until cooked through. Add oil, lemon juice, salt and garlic. Stir gently until completely mixed. Remove into plate and serve with ugali and sukuma. 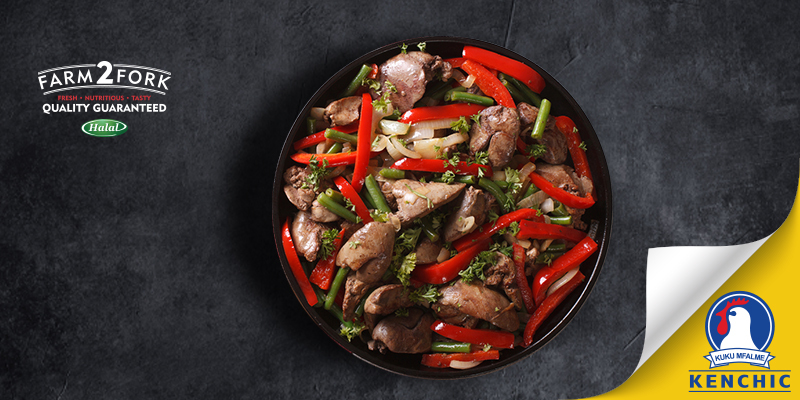 To bake, remove chicken from packaging and place on a baking tray for 40 -45 mins. 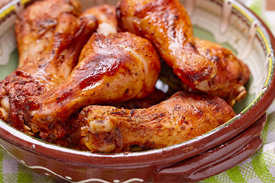 To grill, remove chicken from the pack and keep turning on grill until chicken is cooked. Best served with roast potatoes/chips. Fried chicken is a dish consisting of chicken pieces usually from chickens which have been floured or battered and then pan-fried, deep fried, or pressure fried. Cut the whole chickens into 4 breasts, 4 thighs, 4 legs and 4 wings and set aside. Preheat your oil on a heavy pan or a deep-fryer. Using a large bowl, mix the flour, salt, black pepper, garlic powder, onion powder and cayenne pepper. Pour the buttermilk into another large bowl. Take your breasts, lightly dust them with your flour mixture, then dip them in the buttermilk and place them in the flour mixture, making sure that the chicken is thoroughly coated for it to be crunchy. Gently place the breasts in your hot oil. Repeat the same process with your other pieces of chicken. You should have 16 pieces of chicken in the oil. Set a timer for 15 minutes. Remove the chicken from the oil and let it drain for 5 minutes. Let it cool before serving. Serve with an accompaniment of your choice. Add two tablespoons of lemon juice or vinegar into the bowl and stir to combine and let it set for 10 minutes. 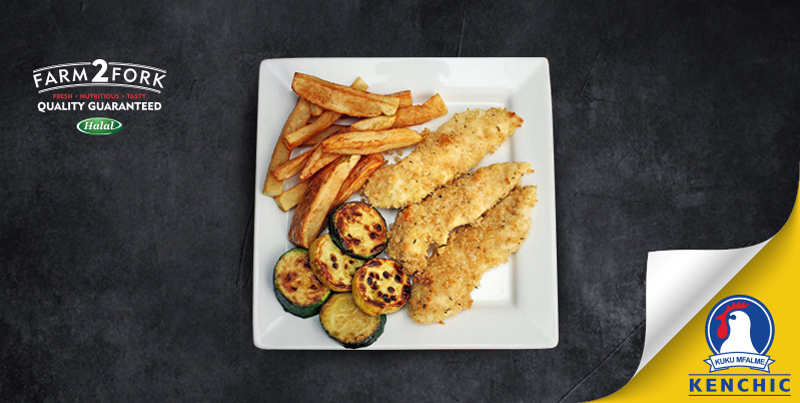 Sprinkle salt and pepper on each of your chicken breasts and rub gently. Dip the chicken breasts one by one into beaten eggs and then into bread crumbs to coat. Fry the garlic until it's golden and then discard the garlic. Place the chicken breasts in the pan and brown on both sides, cooking for about 5 minutes on each side, or until a fork can pierce the chicken. Cooking time will vary depending on how thick your chicken breast is.